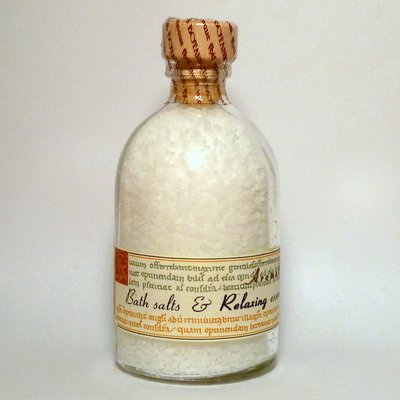 Our exotically fragranced bath salts are produced only from purified natural Spanish sea salt, made in traditional open pans, and rich in skin-benefiting micro-nutrients including Calcium, Magnesium, Iodine and trace elements. The soothing and relaxing value of real Balneotherapy or Thalassotherapy, in softened warm "sea water" is enhanced by calming Rose, Lavender and other pure essential oils. Totally natural & suits all skin types: dissolve 25-50g in a warm bath before entering. 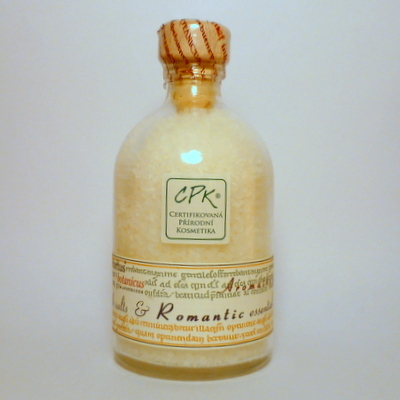 A "Romantic" combination of pure plant essential oils for a refreshing, cleansing & romantic bathing experience. 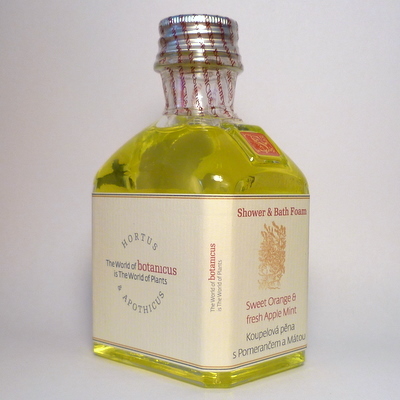 A "Relaxing" combination of pure plant essential oils for a refreshing, cleansing & relaxing bathing experience. 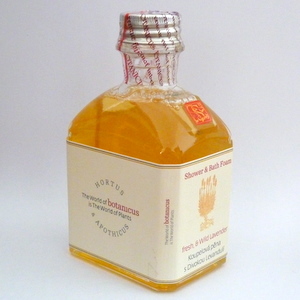 A wonderfully stimulating and enlivening body and bath foam based upon tried and tested mild & skin-kind coconut derived cleanser and a rich fresh organic Apple Mint plant extract produced on our own eco-farm and fortified by a universally popular and totally refreshing fragrance blend of Orange, Petigrain and Peppermint essential oils. 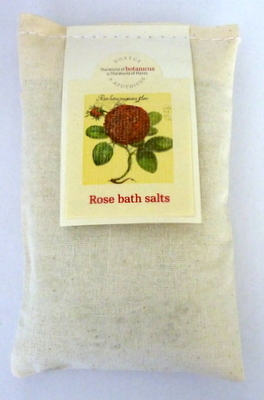 Shake before use to disperse the plant oils and extracts and then pour a desired quantity under a running tap in the bath; or alternatively the product may be employed as a cleansing body rub in the shower. A sublime, soothing & relaxing Bath Foam for a calming and cleansing soak in its high active levels of organic Lavender flower extracts and divine pure essential oil fragrance blend of Wild Lavender & just a hint of Rose Geranium, Lime and Sweet Orange, to lift the spirits & refresh. 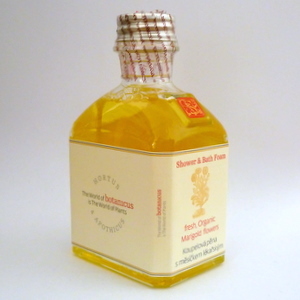 Shake before use to thoroughly disperse the plant oils and extracts, and pour a suitable quantity under a running tap in the bath; or alternatively, use as a cleansing body rub whist showering. A soothing, cleansing & toning bath form suitable for the most delicate skin types by virtue of its high level of active fresh organic Marigold flowers extract - the flowers being grown on our own eco-farm & processed within hours of hand-picking, to ensure consistent beneficial quality. The renowned skin protective & healing properties of Marigold are enhanced by the inclusion of a careful fragrance blend of skin rejuvenating Elemi & Nepalese Xanthoxylum essential oils, and valuable Calendula absolute. Shake before use, and pour a desired quantity under a running tap in the bath, or alternatively use as a cleansing body rub in the shower.